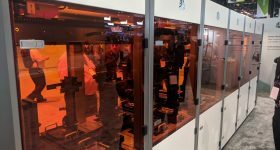 In spite of all its limitation and costs, the focus of the 3D printing market is rapidly shifting toward metal 3D printing. 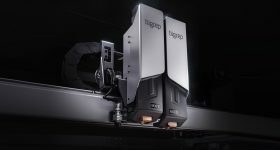 Metal, much more than plastic, enables 3D printing of components for final use and with the same mechanical properties as injection molded or CNC’d parts. 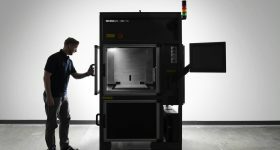 A new company called Desktop Metal wants to take it even one more step forward, to the desktop, and has already found those who are ready to bet on them, including what is, currently, the largest 3D printer manufacturer in the world: Stratasys. 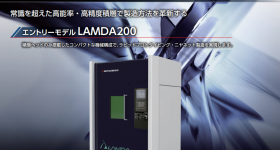 Today’s metal fusion technologies require highly secure environments, extremely high temperatures, gas filled printing chambers, and very expensive atomisation processes to create the perfect powders. 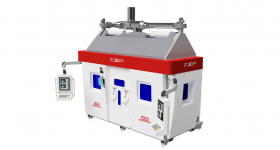 The current desktop metal alternative actually already exists: it consists of binder jetting processes (safer and less expensive ,but still largely inaccessible because of the size of the machines) and the lowest cost process, consisting of pneumatic extrusion of metal pastes that get sintered in kilns in the post-processing phase. 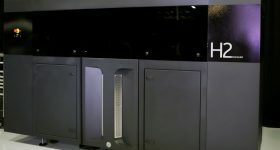 Although Desktop Metal does not yet have either a website or a working prototype, it seems safe to assume that, if venture capitalists and Stratasys are willing to bet millions on them, this technology is going to be something revolutionary, possibly through making the powder fusion of metal processes safer, smaller, and more accessible. One thing we do know is that whatever process this will be, it will not employ lasers. 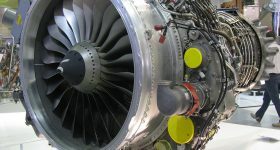 The project is considered credible by giants such as NEA, Kleiner Perkins Caufield Byers, and Lux Capital, with participation from 3D printing giant Stratasys, Boston hardware investor and prototype shop Bolt, Founder Collective, Data Collective, and angel investors, who invested a cumulative $14 million in a Series A round. The reason why is that it is led by Co-founder and CEO Ric Fulop, who has a rather good track record both as an investor and as an entrepreneur. Others team members working at Desktop Metal include MIT materials science and engineering professor Yet-Ming Chiang, and Chris Schuh, who leads MIT’s materials science and engineering department. Rick Chin, an early engineer with SolidWorks, and Matt Verminski, who was Kiva’s vice president of hardware engineering, are also on-board. 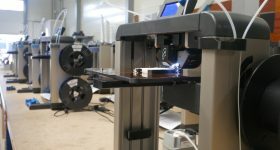 This would not be the first successful project in taking 3D printing to a larger audience that is linked to the famed Massachusetts university. There is little doubt that, if this project is successful, it will be a game changer. 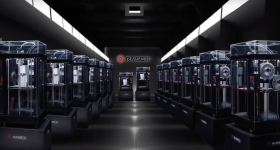 However, it is also true that the current metal 3D printer manufacturers (there are more than 15 worldwide now, with new ones launching more frequently lately) are advancing their own technologies to make them faster and more efficient year after year. It will be interesting to see who will get there first. To the benefit of all 3D printing adopters.